Assured Carriers will provide any combination of inbound and outbound freight moves and solve particularly difficult or time consuming problems through our expert brokering team. Our brokerage uses a select group of reputable trucking companies. Ensuring your freight needs are always handled with Assured's standard of excellence. 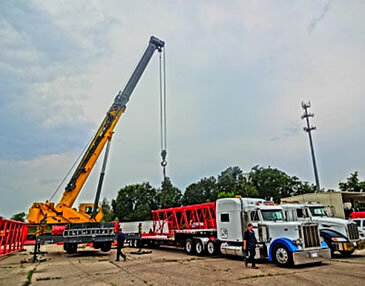 Our on-site coordinator can be present, at your request, for added assurance that large or custom hauling needs are met. with precision.